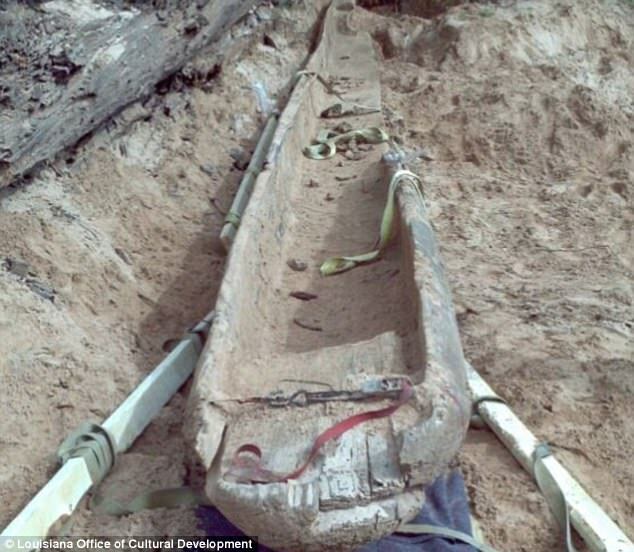 Two people walking along a riverbank stumbled across an ancient Native American dugout canoe thought to be up to 1,000 years old. 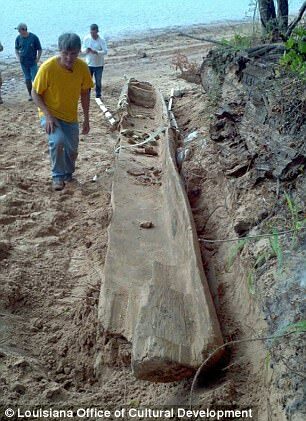 The canoe, which weighs some 1,000 pounds and is three-foot-wide, is thought to be the largest ever found intact in the USA. It was constructed 800 to 1,000 years ago by digging out a cypress trump, most likely by the Caddo Indians, who settled in the area. The canoe has been taken to Texas A&M University where a conservation process will begin that could take two years. A wood sample has been taken away for radiocarbon dating and the craft will go on display when scientists are certain it has been protected from decomposition. The landowner donated the craft to the state, and it will be displayed locally to Red River when it is ready. 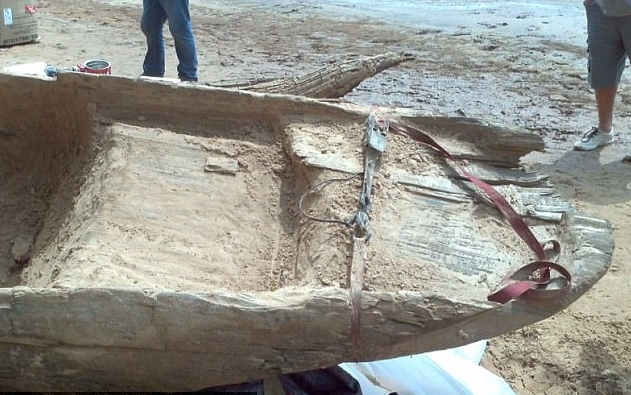 Dugout canoes were first used during the European Stone Age around 8,000 years ago. They were made by felling a tree trunk and digging out enough wood so it was sufficiently buoyant but not enough to leave it weak. Complete trunks tend to preserve better than separate pieces of wood, so the canoes were very useful for long-term use for hunting and fishing. The Solomon islanders of the South Pacific still use the technology to travel between the islands. Some of the canoes are very small, around six feet, and are designed for children. Responses to "Couple find the largest ever intact Native American canoe dating back 1,000 years"
I think you meant to write tree "trunk", but it must have auto-corrected to "trump". It would be amazing if they find intact DNA on the canoe! Now if they can respect the people that were here first just as much as they are respecting this ancient canoe that the first peoples made 1000 years ago !! Can you, the white people do that ??? ?